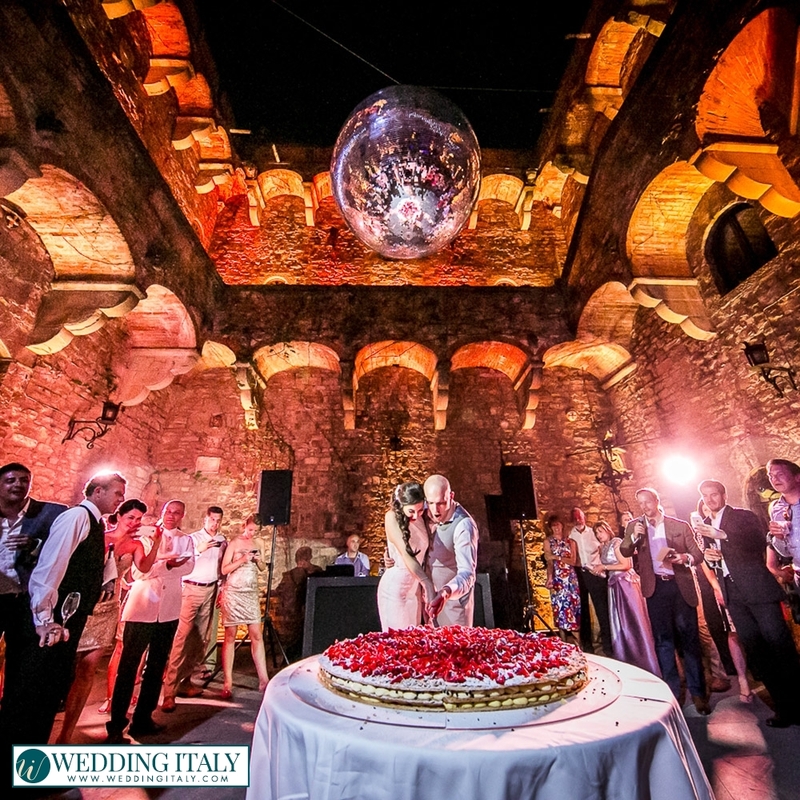 In Italy a wedding cake has always been a symbol of happiness and prosperity for the bride and groom and their future life together, but traditions linked to the cake and also its form has changed over time. 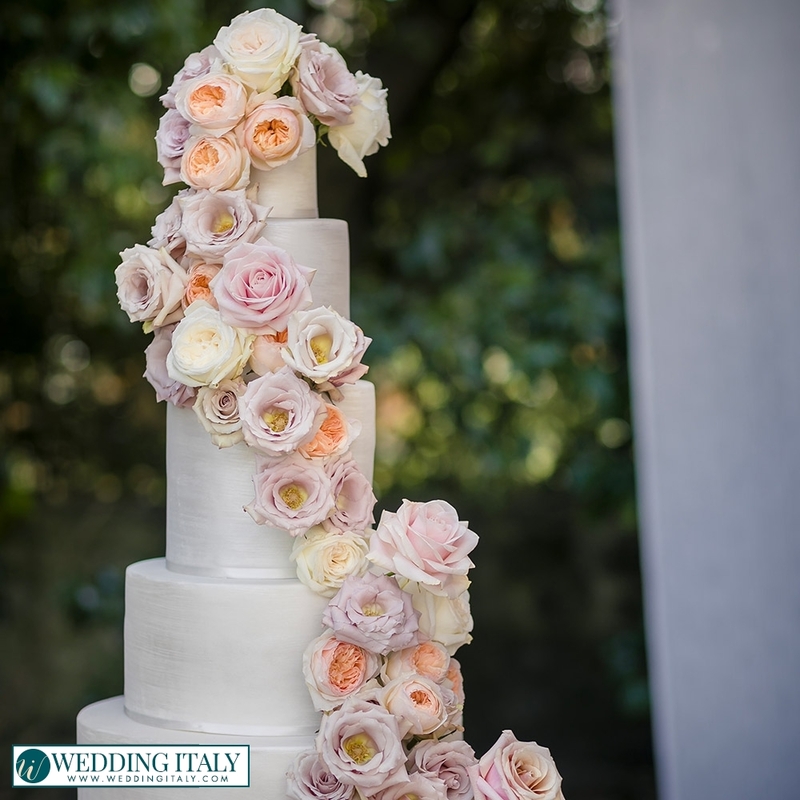 The “traditional” tiered white wedding cake has originated from different cultures and has developed and changed throughout history. In ancient Rome the “wedding cake” was nothing more than a sort of bread that was broken on the bride’s head as a symbol of good luck: anyway, over time, more “civil” ways were brought into existence! The white frosting over the wedding cake has always been a symbol of purity and virginity of the bride, also recalling the vaporous, beautiful wedding dress of the bride. Modern wedding cake as we know it originated at the wedding of Prince Leopold of Albany in 1882. 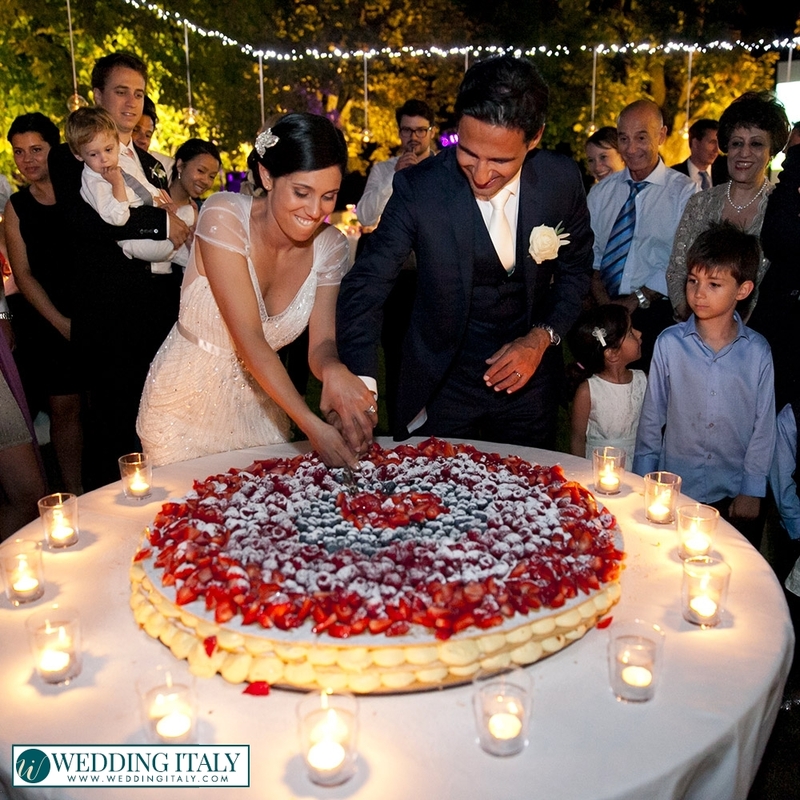 We can help you choose your Italian wedding cake for a special wedding. 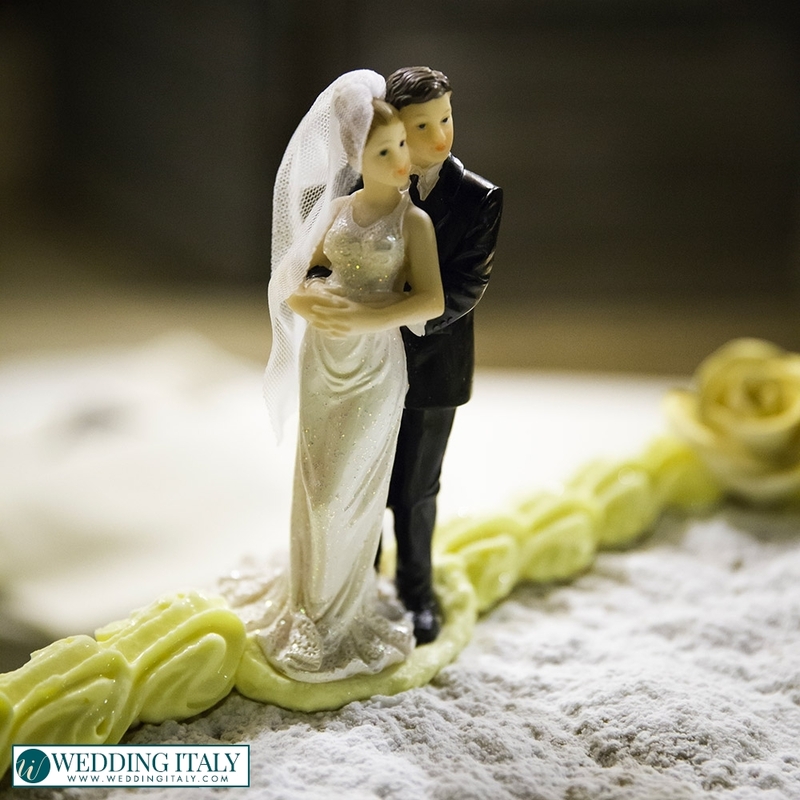 Personalize the classic wedding cake with icing and edible decoration of your liking, or just try something new - an artistic chocolate cake, or something personalized in shape and taste according to your wishes. 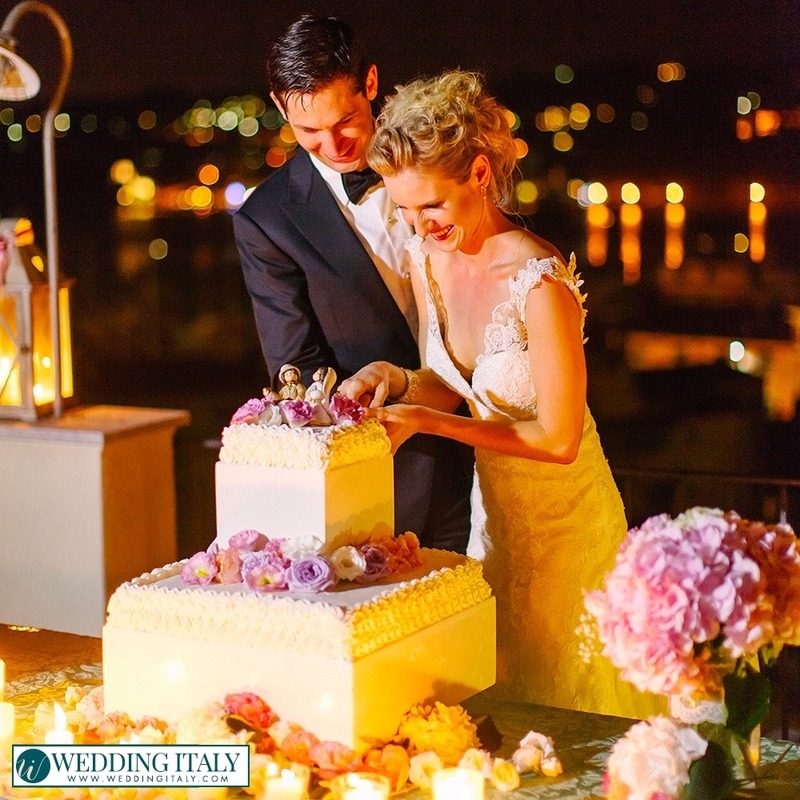 Your wedding cake in Italy will be carefully prepared by the most skilled Italian pastry chefs of our trust to present you with a masterpiece of beauty and taste for your most special day! 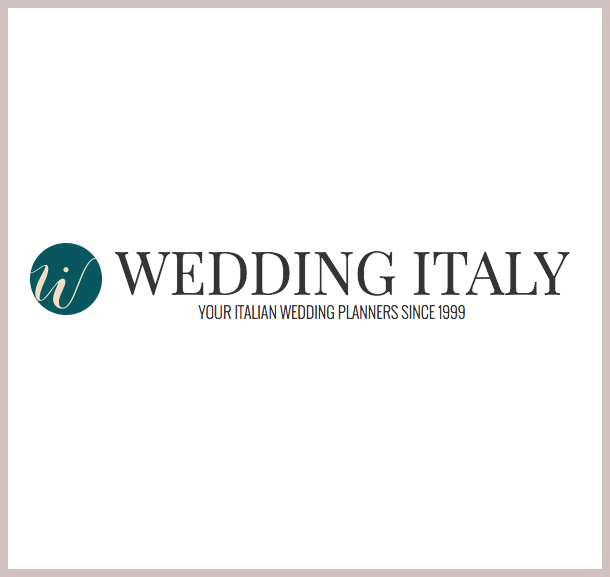 In Italy you can find many master wedding cake chef: just rely on them and you’ll have your savory and beautiful wedding cake! 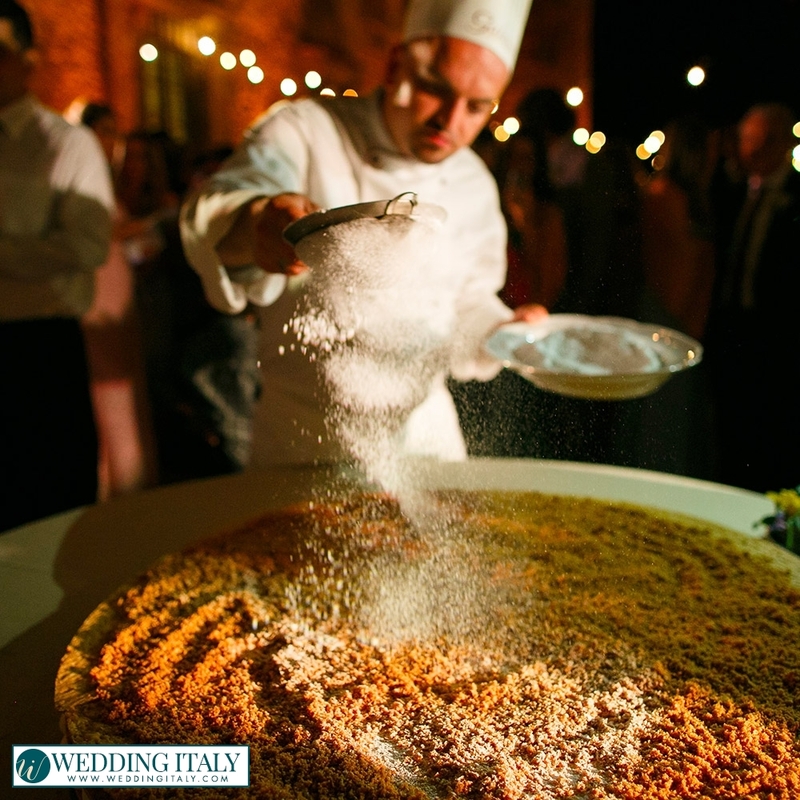 And what if we added a touch of local flavor to your Italian wedding cake? For a different wedding cake, let’s go back to the traditional! 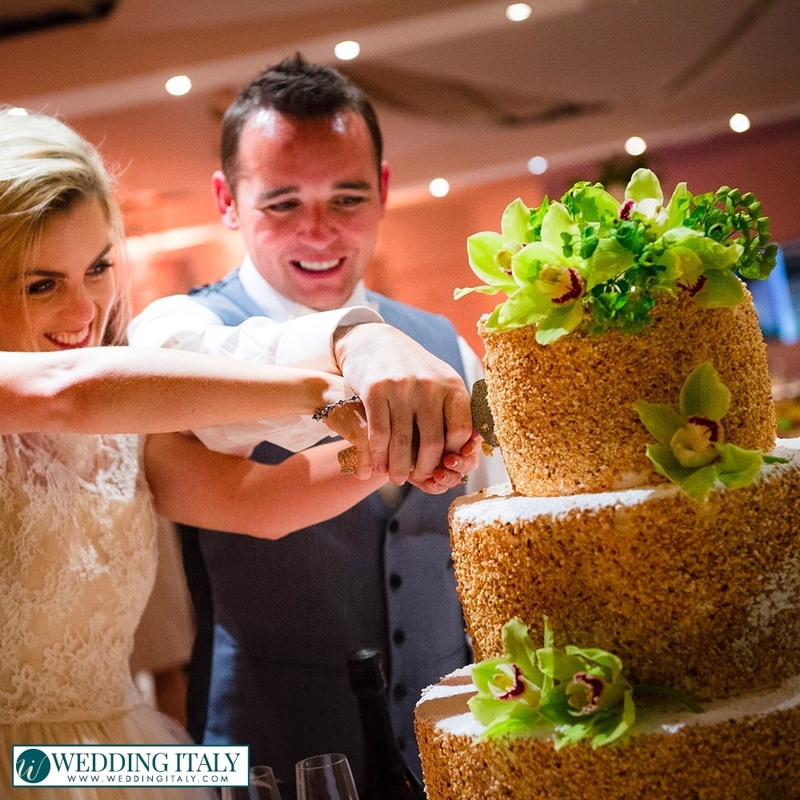 Italian best known sweets include tiramisu, profiteroles - so how about a “Millefoglie” wedding cake or a profiterole tower instead of the classical tiered white wedding cake? Feel like trying something different? Would you like to feel more “at home”? American cakes in Italy are also possible. 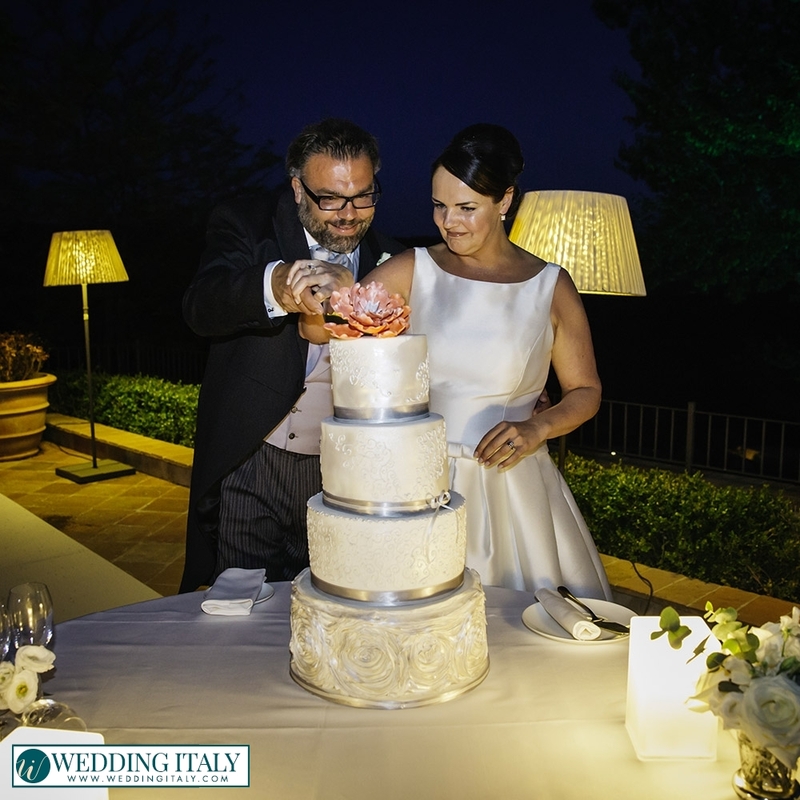 With multiple layers, icing and so on: it is not common but we know some American bakers living in Italy who’d be happy to prepare your wedding cake. 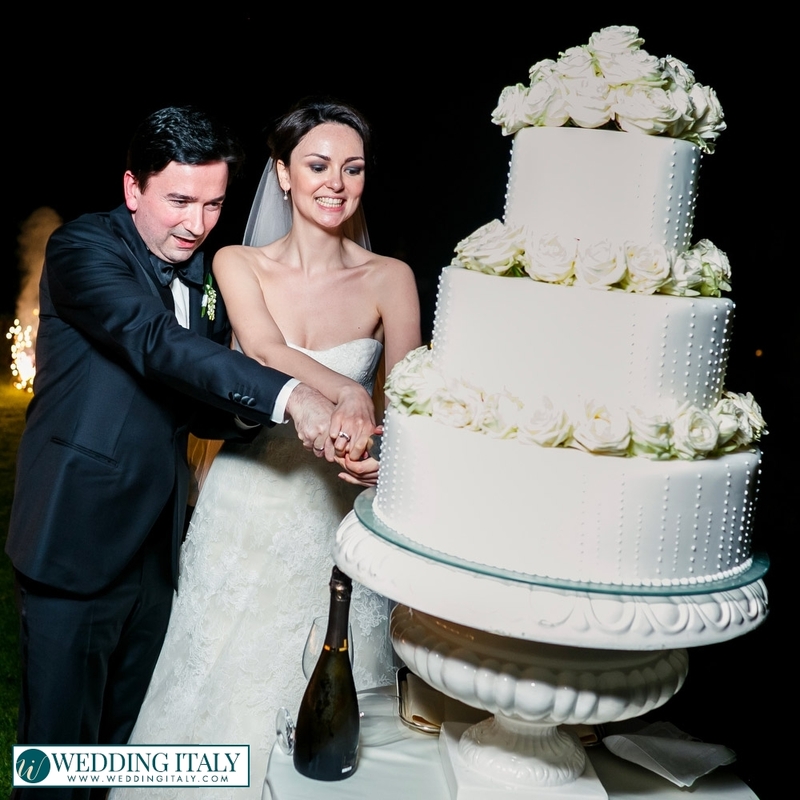 Let your imagination run: for weddings in Italy our Italian master cake chefs will transform your wedding cake into a fluffy tasteful dream! 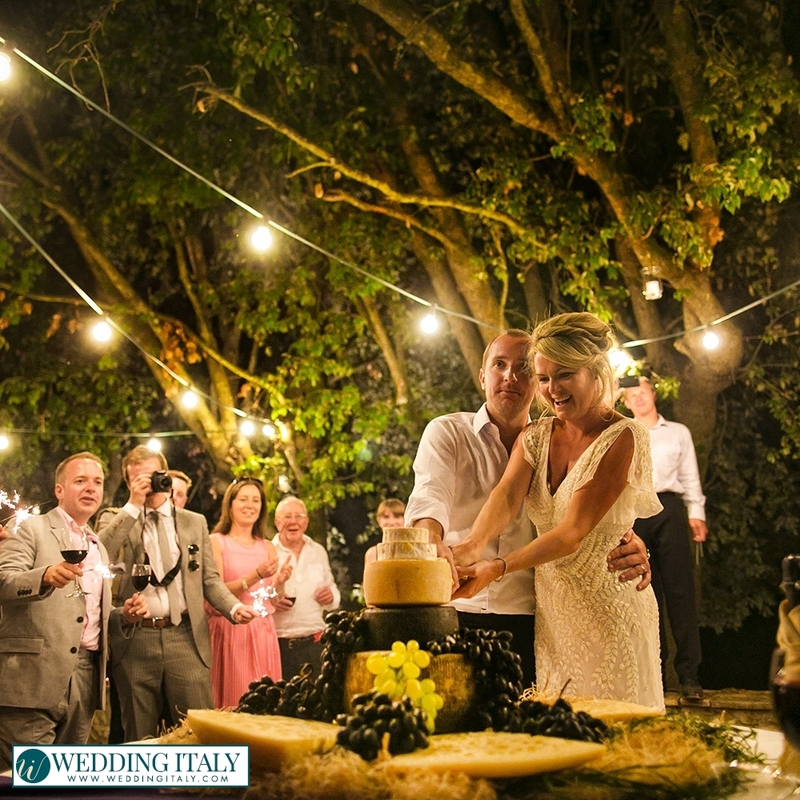 "Everything was perfectly arranged and prepared, more than we could have ever imagined. Dear..."